A MONSTER 143 break has been recorded by a 16-year-old from Eastleigh. 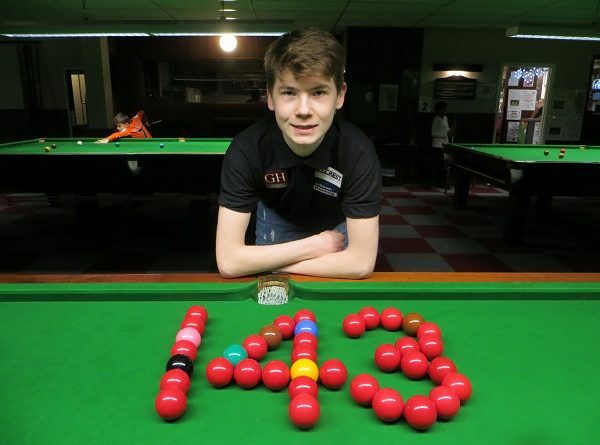 Connor Benzey produced a total clearance in a practice match at Chandlers Ford Snooker Club. Andover cueman Hunter, 52, a former national junior champion, was suitably impressed. “I’ve never seen break building like that from someone his age,” he said. It was the 43rd ton scored by the teenage and his 35th of the year. Benzey’s dad Mark, who won Southampton’s Town Championship in 2001, revealed that a seemingly ridiculous target set at the start of the year is now in his sights. “I was stunned,” he said. “When he said in January he wanted to be at 50 by the end of year as an extreme goal, we both laughed.